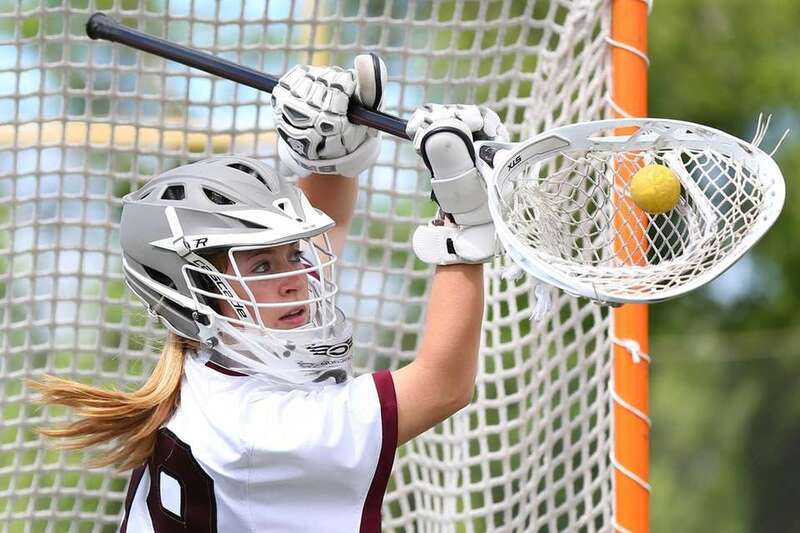 A collection of some of the best high school sports photos from around Long Island in the month of June 2017. 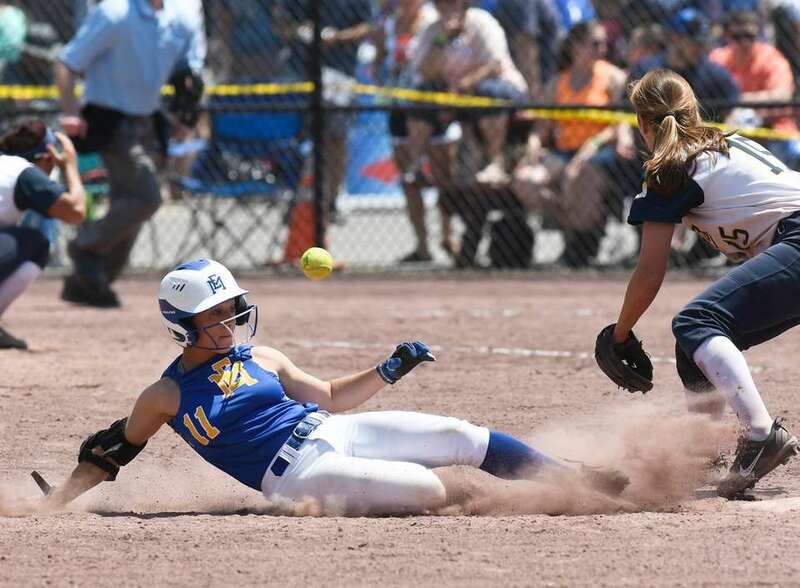 East Meadow's Jess Marsala slides safely into second base under Victor's Sammie Torlish in the Class AA state softball semifinal game in South Glens Falls, N.Y., Saturday, June 10, 2017. 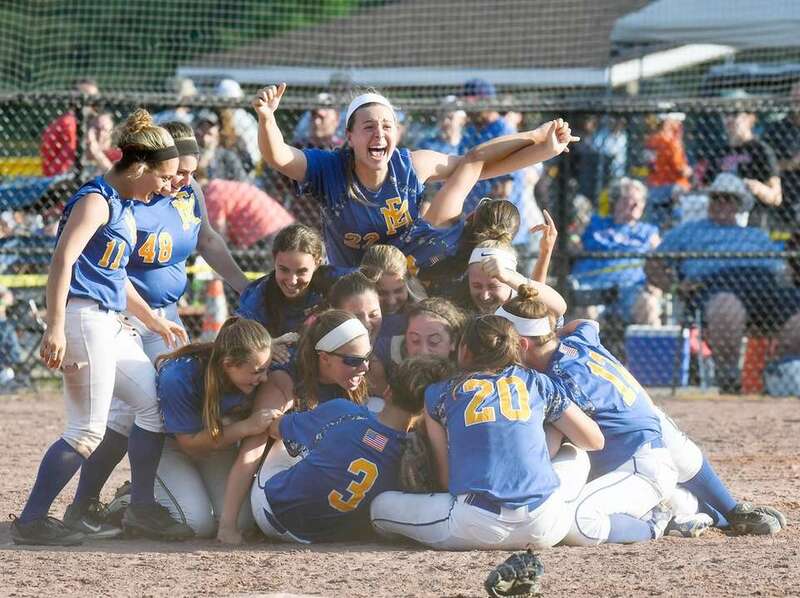 East Meadow softball players celebrate their win over Binghamton in the Class AA state championship game in South Glens Falls, N.Y., Saturday, June 10, 2017. 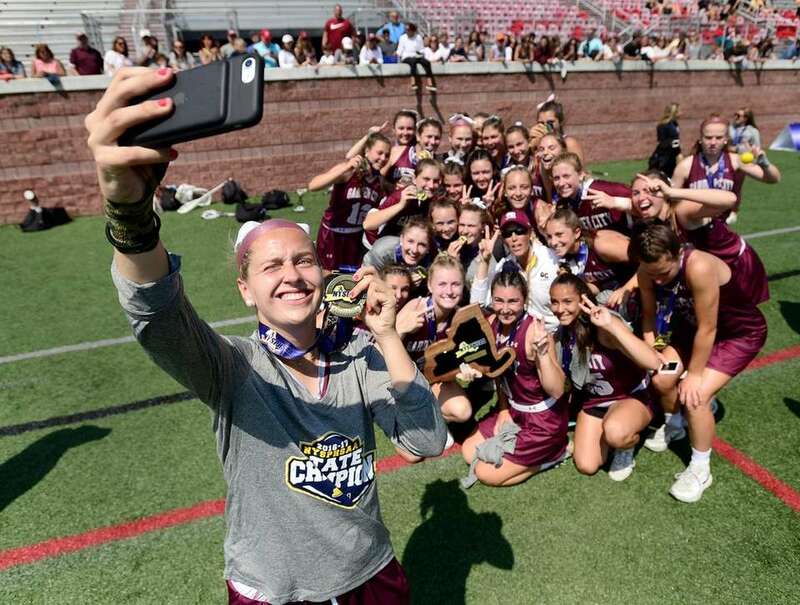 Garden City's Kelly George, left, takes a selfie with her medal and her teammates after winning the Class B girls lacrosse state title at SUNY Cortland on Saturday, June 10, 2017. 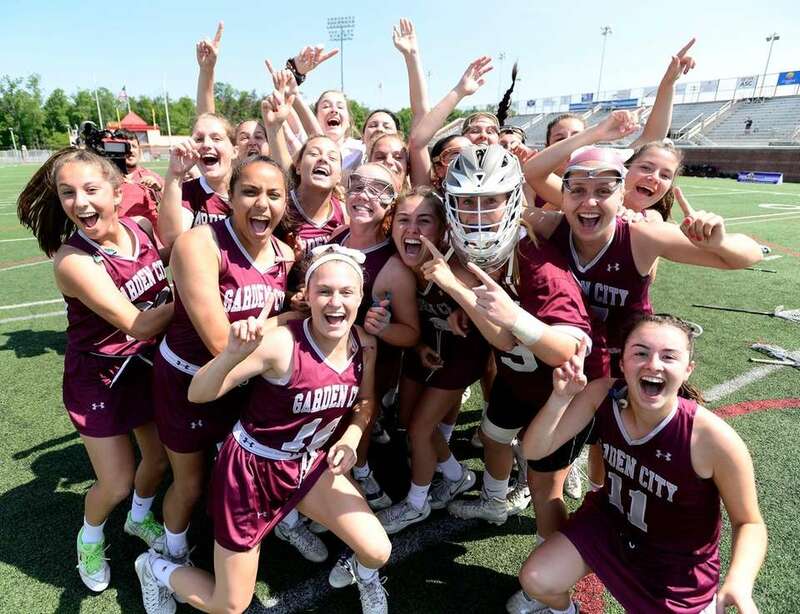 Garden City players celebrate winning the Class B girls lacrosse state title at SUNY Cortland on Saturday, June 10, 2017. 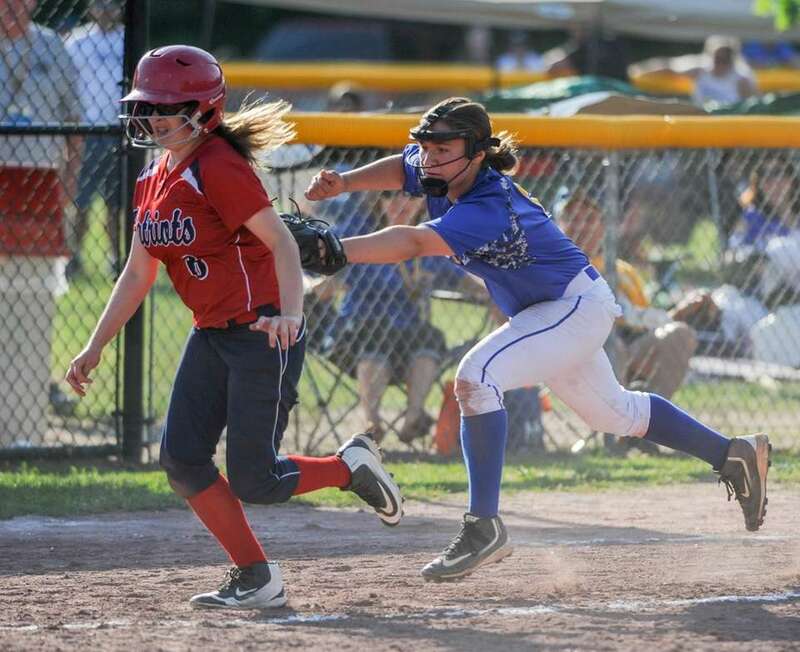 East Meadow's Amy Mallah, right, tags out Binghamton's Martina Hanyon in the State Softball Class AA championship game in South Glens Falls, N.Y., Saturday, June 10, 2017. 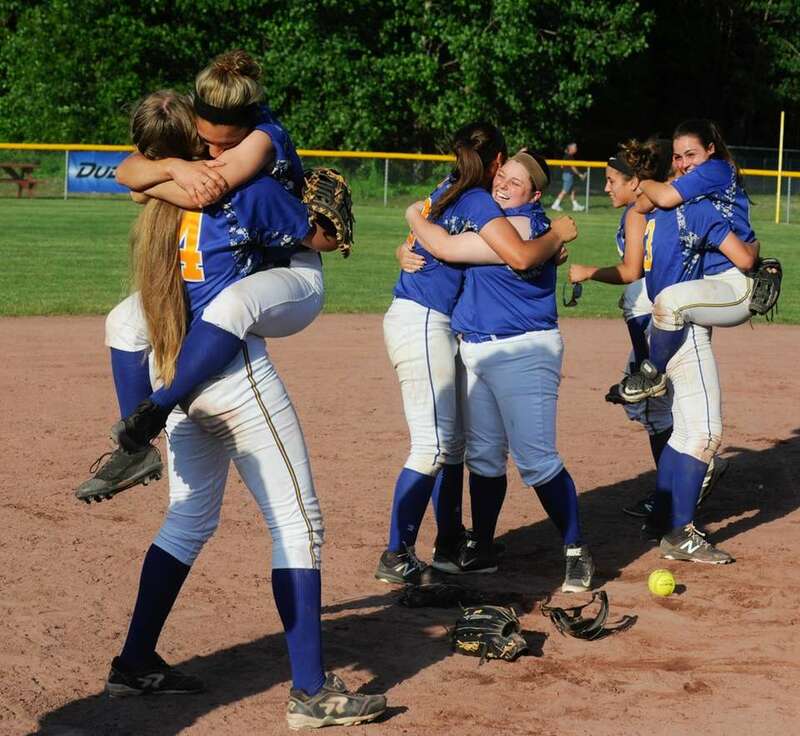 East Meadow won, 1-0. 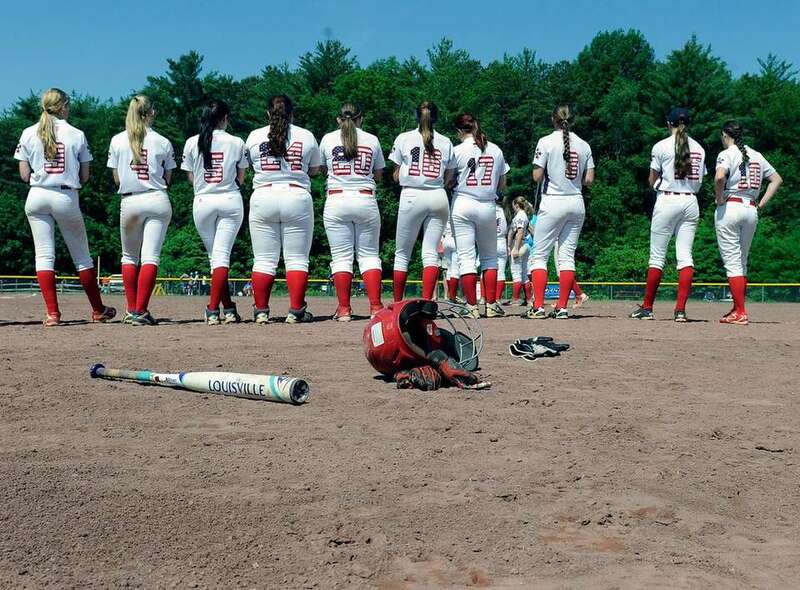 MacArthur softball players react during the awards ceremony to a 2-0 loss to Maine-Endwell in the Class A state semifinals in South Glens Falls, N.Y., Saturday, June 10, 2017. 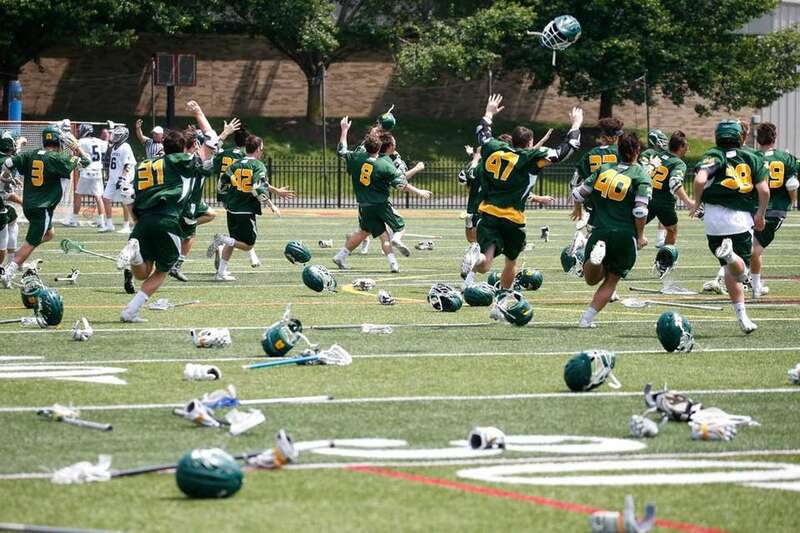 The Ward Melville boys lacrosse team celebrates its come-from-behind win over Pittsford in the Class A state championship game at Growney Stadium on the campus of St. John Fisher College in Rochester on June 10, 2017. 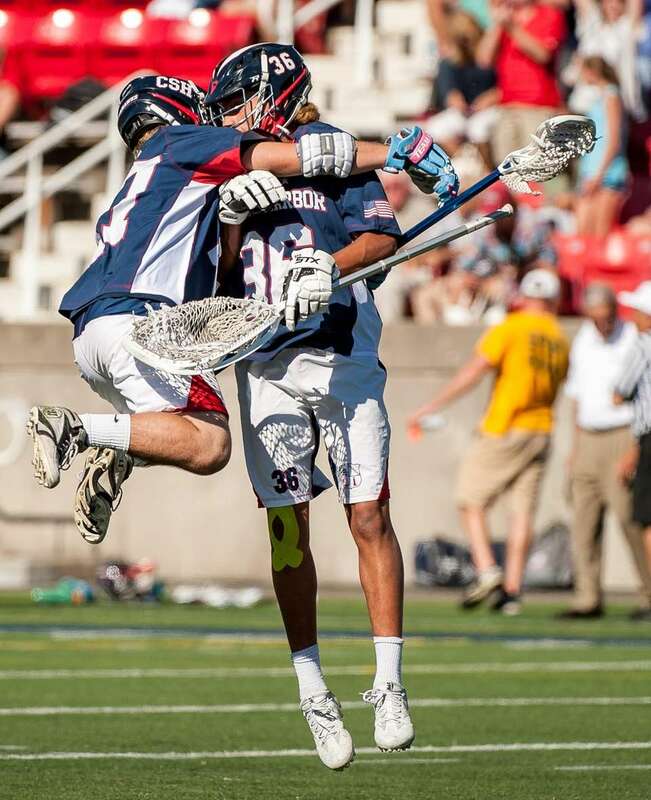 Cold Spring Harbor celebrates its Class C state title in boys lacrosse at Growney Stadium at St. John Fisher College in Pittsford, N.Y., on June 10, 2017. 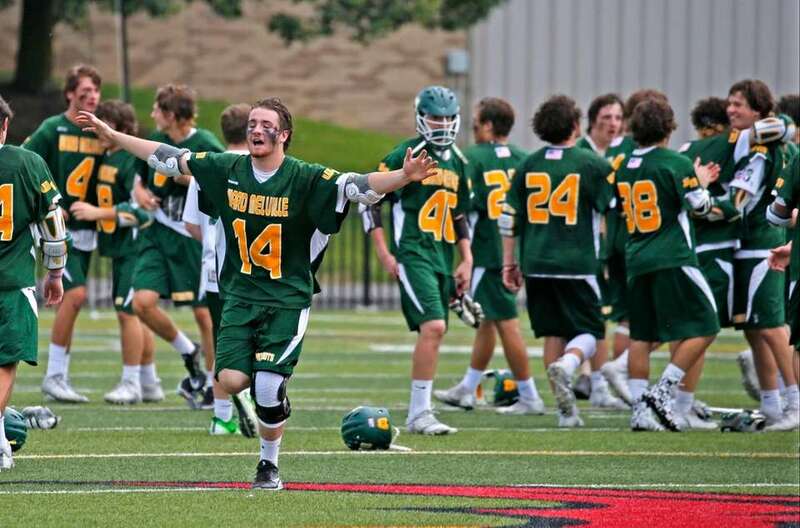 Ward Melville's Matthew Grillo shoots the over-time winning goal in the Class A state boys lacrosse title game at Growney Stadium in Rochester on June 10, 2017. 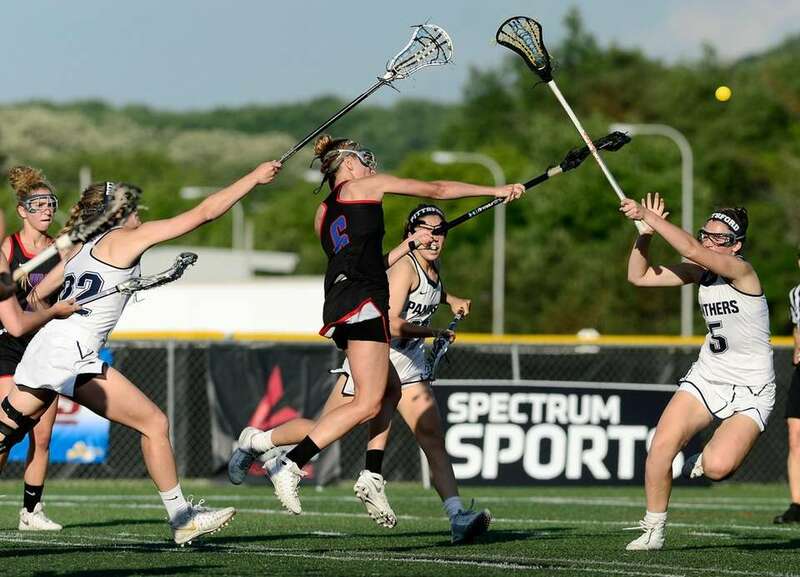 Middle Country's Rachel Masullo, center, gets a shot off between Pittsford's Mackenzie Winn, left, and Sarah Dickinson as time expires in regulation during the 2017 NYSPHSAA Girls Lacrosse Championships Class A final at SUNY Cortland on Saturday, June 10, 2017. 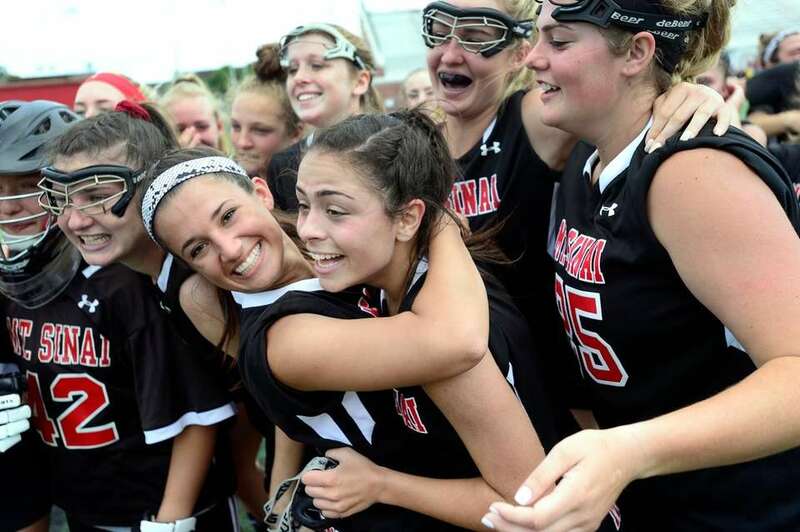 Mount Sinai's Leah Nonnenman, left, hugs Rayna Sabella following their win in the 2017 state Girls Lacrosse Class C final at SUNY Cortland on Saturday, June 10, 2017. 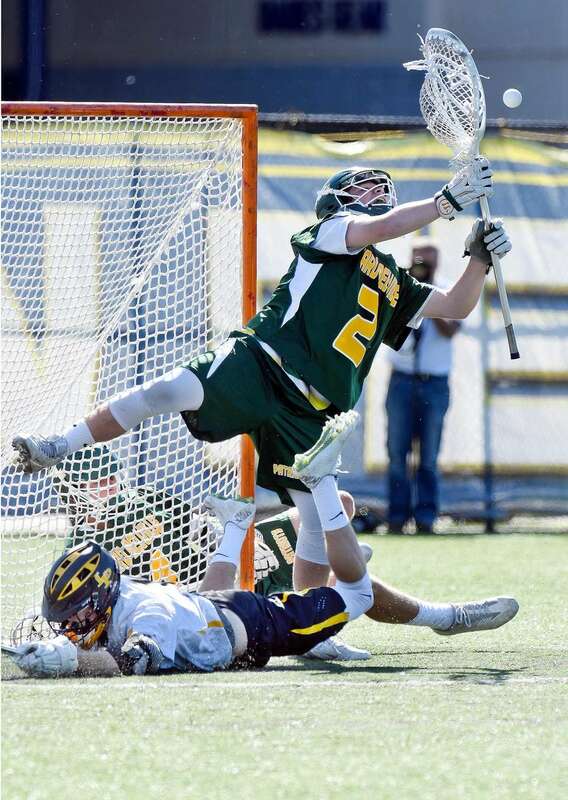 Ward Melville goalkeeper Perry Cassidy (2) defends against Lakeland-Panas' Matt Hodges (14) during the NYSPHSAA boys lacrosse Class A semifinal game at the University at Albany in Albany on Wednesday, June 7, 2017. 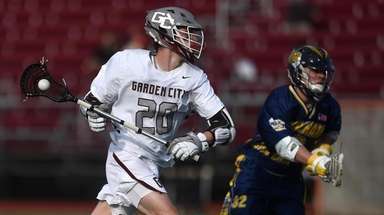 Garden City's Sean Coughlin, left, battles Yorktown's Connor Koelsch for the ball during the NYSPHSAA boys lacrosse Class B semifinal game at the University at Albany in Albany on Wednesday, June 7, 2017. 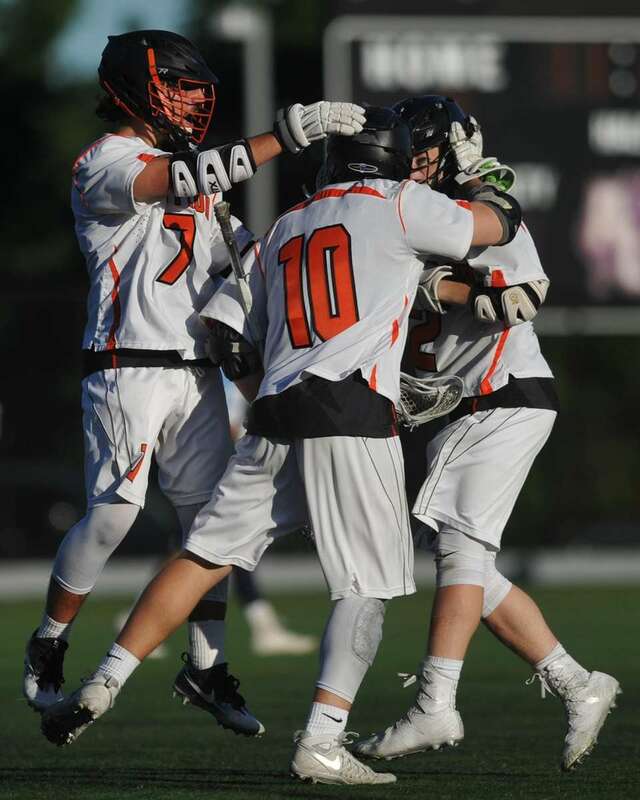 Scott Sasso #7 of Babylon, left, and teammates celebrate after a goal in the NYSPHSAA boys lacrosse Class D state semifinals against Westlake at Adelphi University in Garden City on Wednesday, June 7, 2017. Garden City's Kaitlyn Larsson makes a save during practice on June 7, 2017 in Garden City. 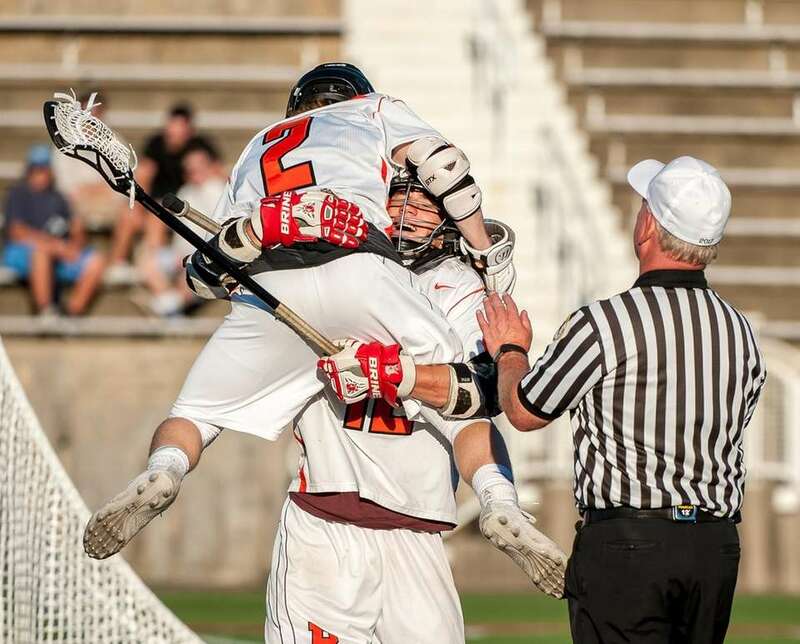 Cold Spring Harbor's Nolan Hinphy, left, and John Genovese celebrate after Hinphy's goal in their win over Shoreham-Wading River in the Long Island Boys Lacrosse Class C championship at Stony Brook University on Saturday June 3, 2017. 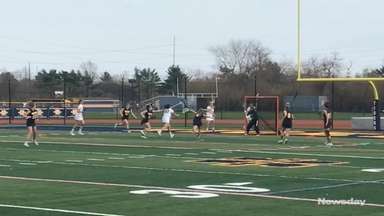 Middle Country's Amanda Masullo slides past Massapequa's Jordan Taylor during the class A Long Island Girls Championship at Adelphi on Sunday, June 4, 2017. William Floyd's Nigel Green wins the 100 Meter Dash during the the Suffolk High School individual track championships/state qualifier on Saturday June, 3 2017 at Port Jefferson High School. 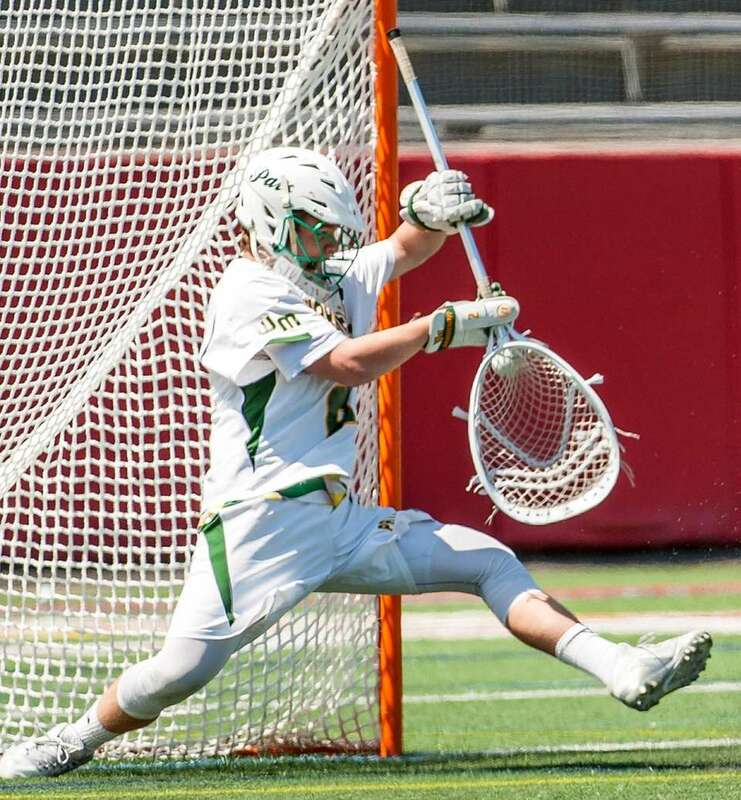 Ward Melville goalie Perry Cassidy makes the save during the Long Island Championship on June 3, 2017. 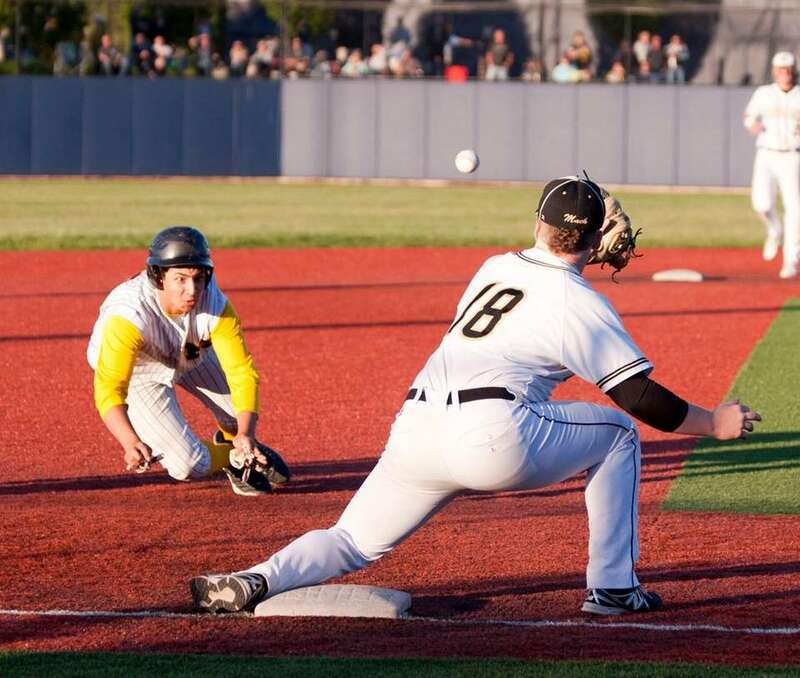 Massapequa's Mike Moreno tries to beat the throw to Commack's Cole Sass during the Long Island Class AA baseball final at St. Joseph's Athletic Complex in Patchogue on June 3, 2017. Jericho's Morgan Li chips the ball out of the sand trap to the green during the State Federation girls golf championships on Saturday, June 3, 2017 at Bethpage State Park's Yellow Course. 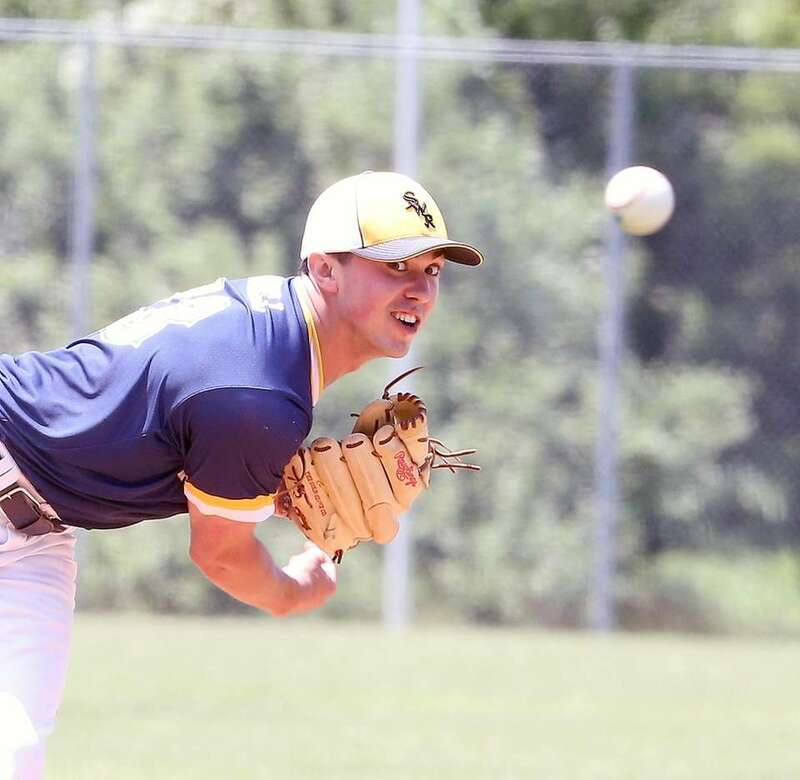 Shoreham-Wading River's Brian Morrell throws a pitch against Wantagh in the Long Island Class A baseball final at SUNY-Old Westbury on June 3, 2017. 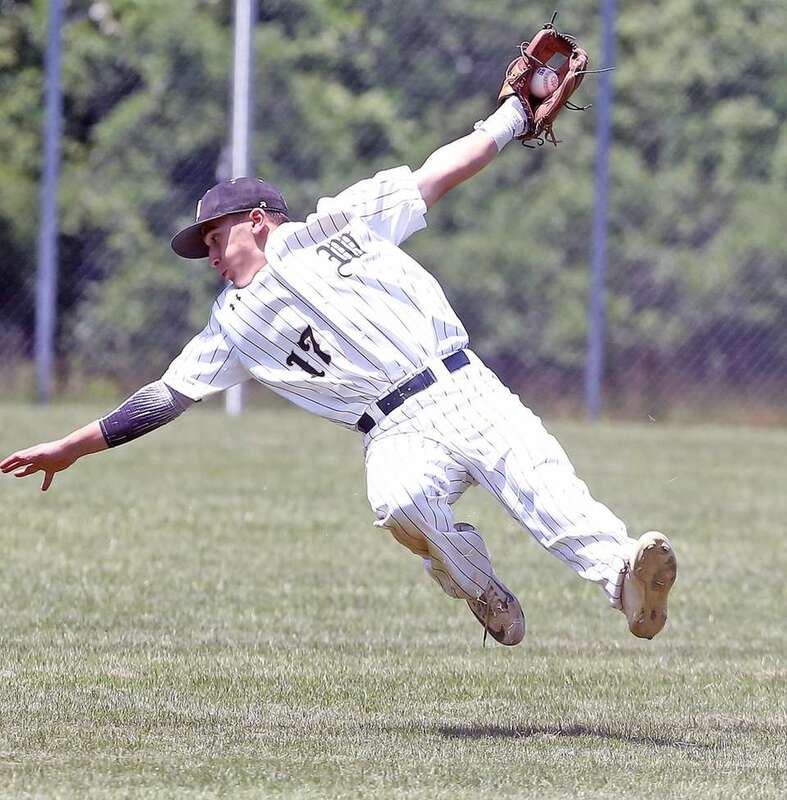 Wantagh's Anthony D'Onofrio makes an acrobatic catch in the Long Island High School baseball Class A final against Shoreham-Wading at SUNY-Old Westbury on June 3, 2017. Commack's Amanda McNelis pole vaults during the Suffolk High School individual track championships/state qualifier on Saturday June, 3 2017 at Port Jefferson High School. 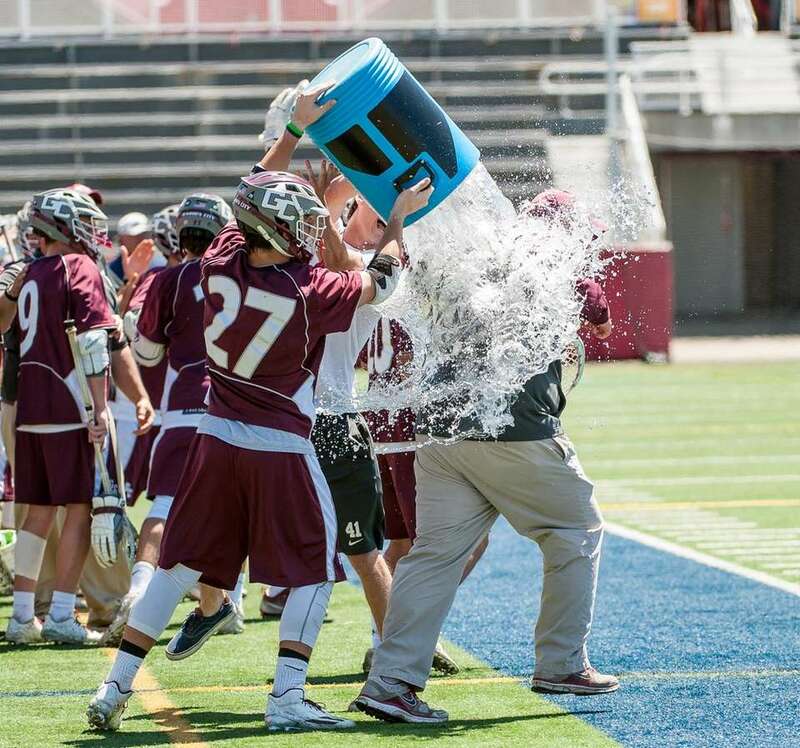 Garden City head coach Steve Finnell gets a bath from Matt Desimpliciis, left, during the win over Eastport-South Manor in the Long Island Class B boys lacrosse championship held at Stony Brook University on June 3, 2017. 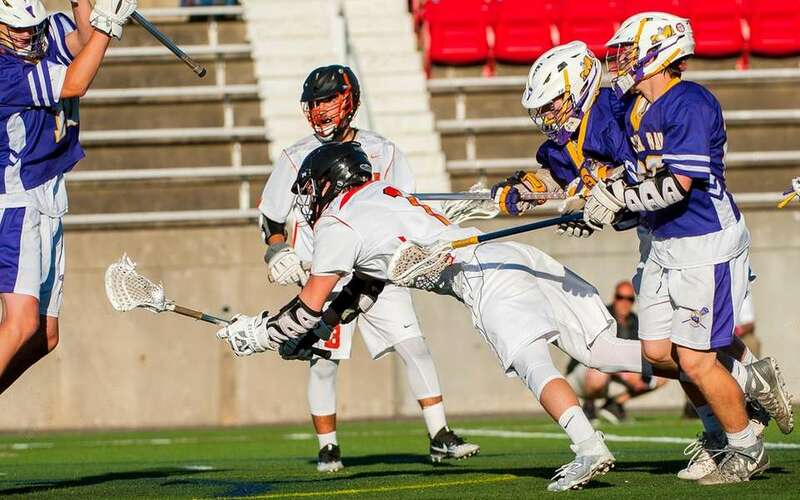 Babylon's Teddy Allen (foreground) gets a big lift after assisting Scott Zeterberg on a goal against Oyster Bay in the Long Island Boys Lacrosse Class D Championships held at Stony Brook University on Saturday June 3, 2017. 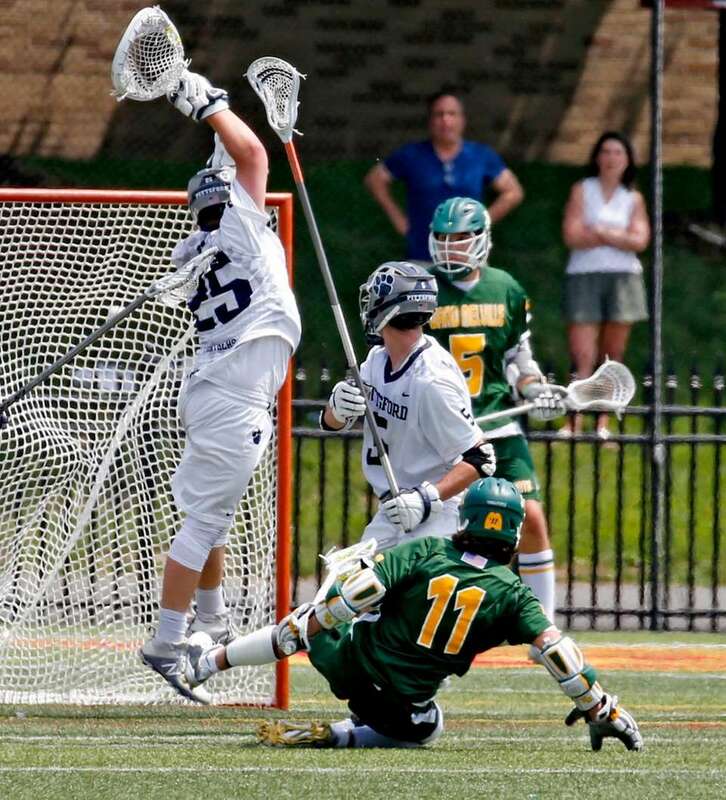 Babylon's Scott Zeterberg dives and scores against Oyster Bay High School in the Long Island Boys Lacrosse Class D Championships held at Stony Brook University on Saturday June 3, 2017. 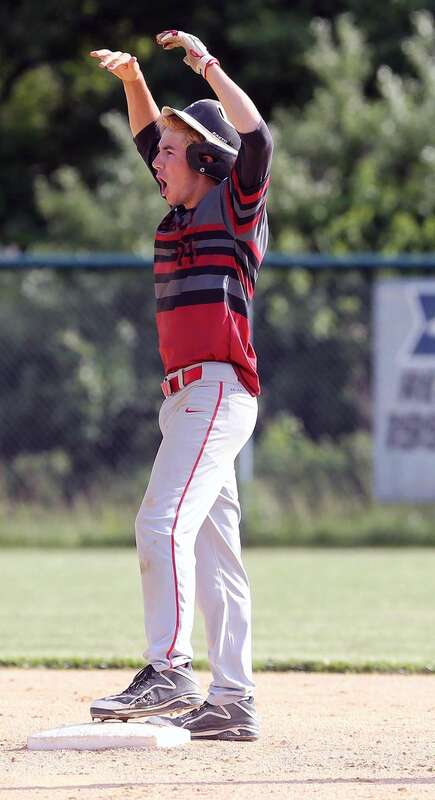 Southold's Pat McFarland celebrates on second base after knocking in two runs during the Long Island baseball Class C final against East Rockaway at SUNY-Old Westbury on June 1, 2017. 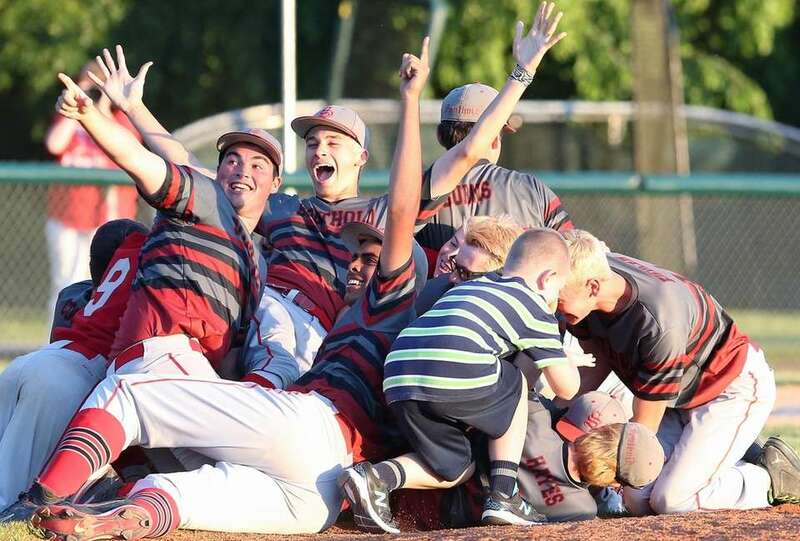 Southold celebrates winning the Long Island High School baseball Class C final against East Rockaway on June 1, 2017. Mattituck's Brendan Kent #5 is mobbed by his teammates after throwing a no hitter in their victory over Wheatley in the Long Island Class B Baseball finals at St. Joseph's College Patchogue on June 1, 2017. 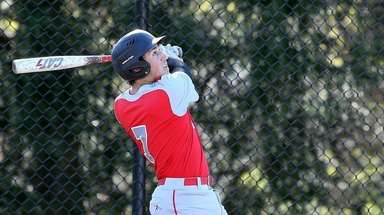 Wheatley's Joe Vella #7 makes the throw to first against Mattituck in the Long Island Class B Baseball finals at St. Joseph's College Patchogue on June 1, 2017. Babylon's Allie Stanya hits in the first inning during the Long Island softball Class B final against Wheatley on Thursday June 1, 2017 at St Joseph's College. Massapequa goalie Sophia Cardello holds the championship plaque as her teammates celebrate after their overtime win against Port Washington in the Nassau Class A girls lacrosse championship at Adelphi University on Thursday, June 1, 2017. 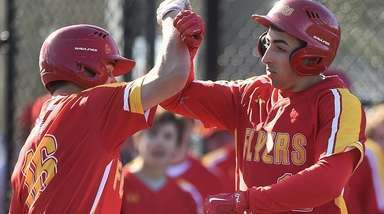 High school photos of the month: May 2017 Our favorite eye-catching moments this month High school photos of the month: April 2017Our top photos from this month around LI fields. 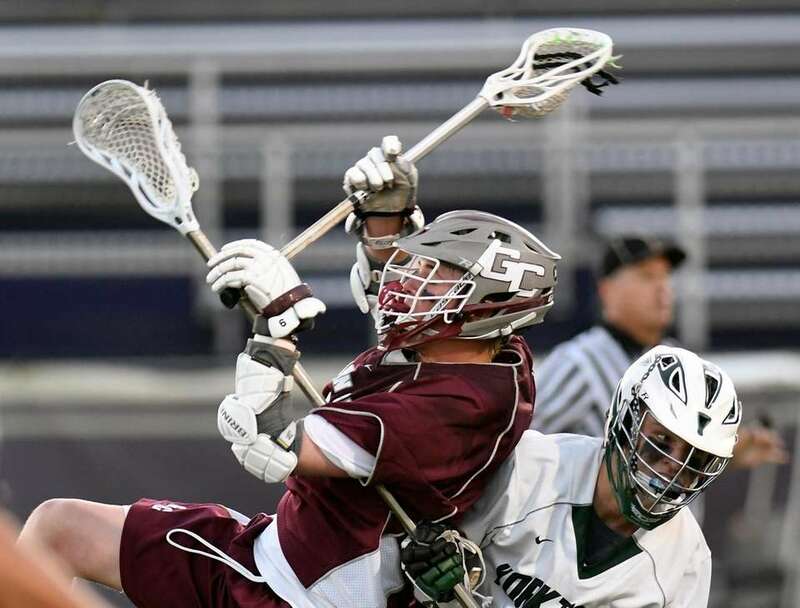 LI Class of 2017 college commitmentsA look at which colleges LI enior athletes have signed to play. 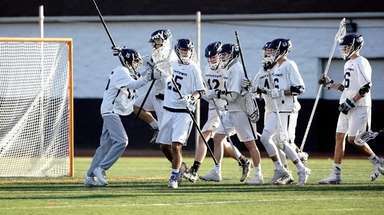 LI Class of 2019 college commitmentsWhere this year's seniors will play next year.